The Great Limpopo Transfrontier Park includes areas of South Africa, Mozambique, and Zimbabwe. Although penalties for killing a rhino in South Africa are stricter than murdering a human, Mozambique offers little punishment and offenders tend to walk away without prosecution. Coupled with poorly paid rangers and huge profits that can be made from rhino horns on the black market, the nation’s entire remaining population has been completely wiped out. There were thought to be the only individuals left in Mozambique out of the estimated 300 roaming the park when it was established back in 2002. Thirty rangers are due to be prosecuted this month, and South Africa is threatening to erect fences between the countries to safeguard the animals. In Kruger on the South African side of the park, 180 rhinos have already been killed this year out of 249 living within the country. In 2012, a stunning 668 were poached, a 50 percent increase from the year before. Kelvin Alie from the International Fund for Animal Welfare told the Telegraph that to see rangers corrupted and aiding in the demise of such an important species speaks to the incredible lure of the international wildlife trade. A spokesman for South Africa’s environment minister is set to meet with her counterpart in Mozambique this moth to address their concerns over the lax attitude towards poaching and renegotiate the open fence policy. 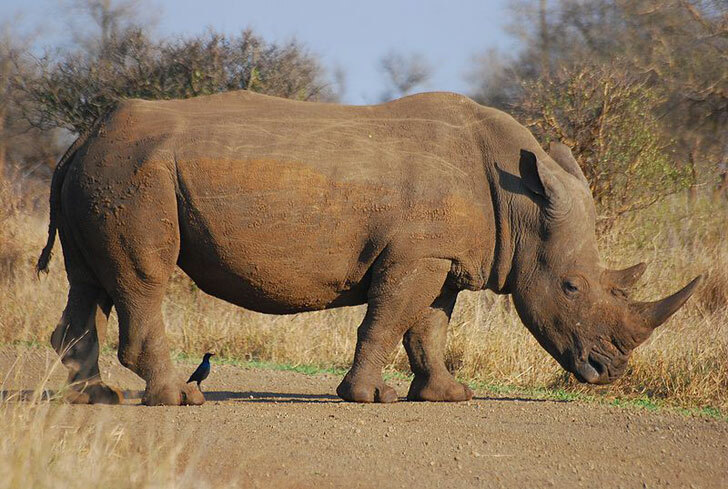 In a battle to defend the remaining African rhinos, the governments and wildlife conservationists will have to tackle entrenched corruption, poverty-driven motives, politics, and cultural beliefs that hold the rhino horn in such high esteem. Meanwhile, the fate of an entire species is at the mercy of those influenced by greed and those committed to their survival. Images via Wikicommons users Wegmann and russavia. This is one of the saddest bits of knowledge I have heard in a long time. The utter foolishness and stupidity of the human species never ceases to reach new heights. So, so sad. Instead of banning their use, make rhinoceroses a business value for animal husbandry: let land owners raise them as their own property! Then they'll probably breed them as their numbers increase. Then, any who steal rhino horns, become thieves, not just poachers. 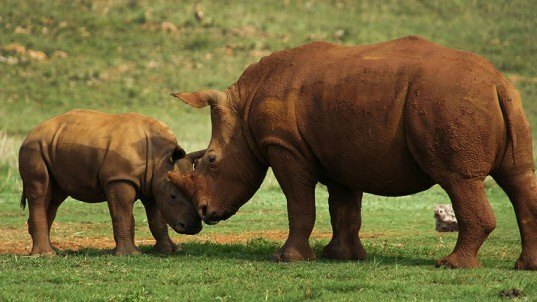 The African Rhinoceros evolved over millions of years, and despite living on earth for eons, it has not been able to survive the greed of human beings. Conservationists have announced that the last 15 of the animals were killed by poachers last month in Mozambique's section of the Great Limpopo Transfrontier Park. Slaughtered for their horns, which fetch higher prices than gold on the Asian market for their supposed cancer-curing and aphrodisiac properties, rhinos in neighboring areas are also in peril. To add to the tragedy, authorities believe that the poachers were aided by the park rangers sworn to protect them.